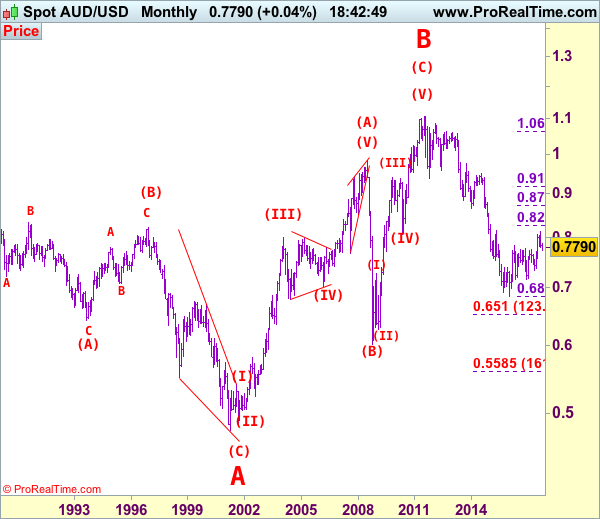 Aussie has dropped again after brief recovery to 0.7875 last week, adding credence to our view that top has been formed at 0.8125 earlier and our bearishness remains for this fall from there to bring retracement of recent rise, below support at 0.7733 would extend weakness to previous resistance at 0.7712, break there would bring further fall towards 0.7640-50 but oversold condition should limit downside and reckon support at 0.7570 would hold from here, bring rebound later. 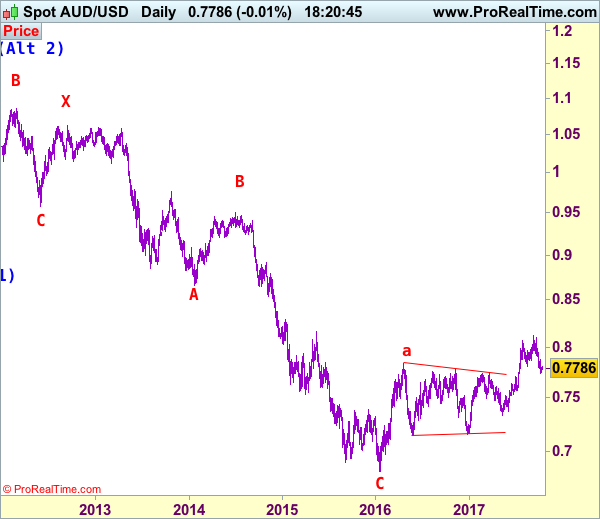 On the upside, whilst initial recovery to 0.7830-35 cannot be ruled out, reckon upside would be limited to said resistance at 0.7875 and bring another decline later to aforesaid downside targets. Above previous support at 0.7908 would suggest first leg of decline from 0.8125 has ended instead, bring a stronger rebound to 0.7940-50 but upside should be limited to 0.8020 and bring another decline later. A daily close above 0.8020 would risk test of 0.8080 but only break of resistance at 0.8103 would signal correction from 0.8125 has ended, bring retest of this level first. Recommendation: Sell again at 0.7870 for 0.7670 with stop above 0.7970.